Tampa Bay Music Academy is excited to welcome Shanna Thompson as the newest member of our piano faculty! Shanna has over a decade of experience teaching piano to students of all ages. In 2013 she recorded a vocal and piano album in Melbourne, Australia while volunteering at a camp. In addition to teaching piano lessons, Shanna also sings worship music and describes herself as being on a mission to impact the world with music that honors God, promotes unity and love, and inspires true joy and freedom. Shanna knew she was destined to be a music teacher when she took a break from teaching and missed it so much she had to come back to her students. She is passionate about building confidence in her students and working with them to excel so they can enjoy and be proud of the music they play. Shanna: Recording my solo album in Melbourne, Australia. While volunteering as a camp counselor, someone heard me play and sing between sessions at the camp and offered to sponsor and record my album! We created our own recording studio with a lovely upright piano surrounded by mattresses and went to work for a week laying down vocal and instrumental tracks. God brought it together in ways I never thought possible. Shanna: Seeing my students progress in ways they never thought they could. Every recital where my students play reminds me of how much I enjoy instilling a love for music in them. 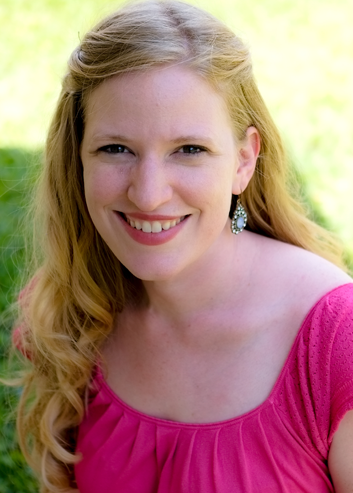 Shanna: I use Faber for method books, but my favorite aspect of music to teach is worship. I am eager to pass on that vision to my students who have chosen to pursue that direction of study. TBMA: When do you recommend starting private music lessons? Shanna: I have taught students as young as four all the way through adults. I recommend starting between the ages of 6 and 8 but any age is fine. It’s never too late! TBMA: What do you enjoy doing outside the music studio? Shanna: I love to travel and be involved in volunteer work. I have visited Russia, Africa and Australia and was able to use my skills as a pianist in each country I visited. I’ve also volunteered as a musician and counselor in the Florida prisons and with several nonprofit organizations. I currently serve as a worship leader at Darby Community Church in Dade City and have substituted as a pianist for First Baptist Church Tampa, Holy Trinity Lutheran Church and Bayshore Baptist Church. Shanna: I heard about it through a friend. It seemed like the perfect opportunity to do what I love in an environment where so many students and teachers have come together to pursue a common goal. We’re excited to welcome Shanna to our team as we seek to provide the best in quality music instruction to each of our students. This is a TBMA original article written for our Tampa Bay Music Academy readership by Susan McClure. If you find it to be helpful, we would love for you to re-post it on your blog. Please contact us first for permission. Visit our website home for information on finding a music teacher in Tampa, Odessa, Land O’ Lakes, Citrus Park, Westchase, New Port Richey, Lutz, Trinity, Keystone, or Tarpon Springs Florida who offers private piano lessons, guitar lessons, saxophone lessons, voice lessons, drum lessons, violin lessons, cello lessons, flute lessons, or music lessons in any other instrument proficiency category. TBMA teachers (piano, guitar, voice, flute, cello, violin, woodwinds, brass, strings, drums, percussion) pride themselves in a reputation for an uncompromising commitment to excellence and special care taken for every student. We remain absolutely committed to providing an outstanding enrollment experience beyond any other in the region. Call us today. We look forward to hearing from you!